On a cool September day in Brooklyn, Paper Garden Records decided to throw their last summer party. This backyard music festival was entitled The Multiverse Playground. With 12 hours of live music, DJ sets, comedy acts, art stations, free beer and Vitamin Water, this extravaganza reached its name to the maximum potential. Since music is a shared experience, I am here to give you the same satisfactions from my Saturday at Multiverse Playground. The event line-up went similar to this: Delicate Steve(DJ Set) Marra Barr, Gunfight!, Progress, Cory Jarvis (Comedian), Matt Lowell, Nick Cobb (Comedian), Whale Belly, T*O*N*Y (DJ), Team Genius, Aaron Kominos-Smith(Comedian), Bearbait(DJ), Chris Betts(Comedian), Caged Animals, Pree, Bear Hands (DJ), EULA, Afuche, Snowmine, Twi The Humble Feather, Little Tybee, and ARMS. A few performances were missed but these were my highlights. Matt Lowell – Brooklynite, this singer/songwriter makes 90s pop with a rock-y edge. The edge could be the bandana he was sporting or the full band behind him. Either way, his music was soothing and easy listening. "Drop The Gun" is my favorite. Whale Belly – Marketed as "an energetic mix of folky- blues-rock-classical" music, this band does a great job at meeting those genres. Their electric violinist made a statement and once they began playing, I woke to the sweet southern blend of rock and country. Download: Whale Belly – O' Morning! O' Wake! Team Genius– I'd say they are a cute pop group. With a keyboard that makes Nintendo video game sounds and duo vocals from a man and woman, Team Genius harmonizes into feel good music. Caged Animals – On stage, each member dressed in bright layers of white. As if looking at them didn't already take you to another place, their experimental tunes took that place to outer space. Pree – Folk was a genre already played at this all-day festival but Pree mixes folk with organic instruments such as the flute and a saw. The obscure range of devices used made them the love-child between folk and electronic. EULA – One of my anticipated bands, Alyse (singer) is bringing punk back from the 70s. The blur of her blonde hair thrashing to the heavy rock noise and her intense feminine screams almost started a mosh scene. Afuche – Not under the label of Paper Garden Records, these men (and one Asian chick) added another layer of variety to this line-up. Their efforts of creating something different and unique was quickly acknowledged by the jazz-infused sounds to their tropical rock band. Snowmine – I have to say, even with technical difficulties of the microphone, Snowmine left a great impression. The cohesiveness and melting of instruments were so well done that they tranquilized the audience and took them to an island with their first lovers. 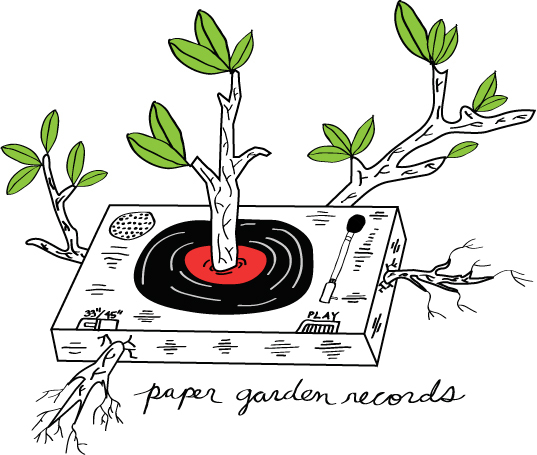 I am a fan of Paper Garden Records for their neighborhood warmth and label diversity. Every band on this label is worth checking out so I have attached their band page to even the ones I missed seeing. Now do your share and support them also. Here is the record label's Soundcloud page, get on it. Loved it. This one was real music without pretense. True artistry. I just hope they're not promoting anything bad. I loved what I heard. The other artists above I did not enjoy at all. This song-however-is the real deal. 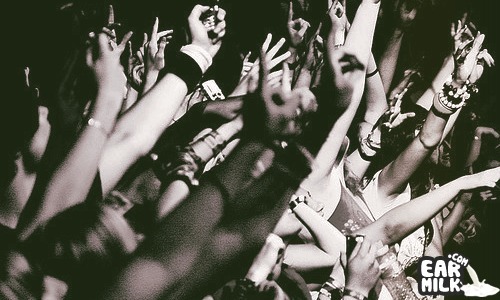 If more artists had this kind of vision, songwriting ability, and true artistry…the future of music would look good. This is real gold with diamonds arranged beautifully. I cannot say enough. I love good music and it is rare to find. Thank you for the nice surprise.